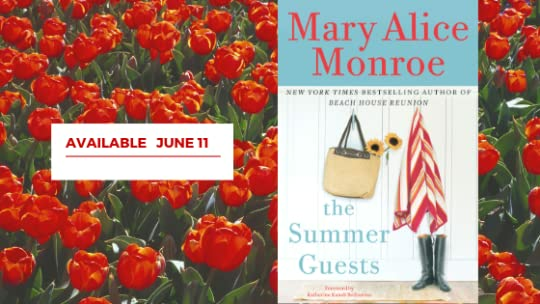 Mary Alice Monroe is the New York Times bestselling author of 22 novels and two children’s picture books. Mary Alice writes richly textured stories that delve into the complexities of interpersonal relationships and the parallels between the land and life. Monroe’s novels are published worldwide. Monroe has achieved many lists, including the New York Times, USA Today and SIBA and starred reviews. She has received numerous awards, including several Readers’ Choice Awards, RT Lifetime Achievement Award, the Girls Scouts of America Woman of Distinction Award, the 2008 South Carolina Center for the Book Award for Writing and was featured at the National Festival of the Book, the 2008 International Book Award for Green Fiction for The Butterfly’ Mary Alice Monroe is the New York Times bestselling author of 22 novels and two children’s picture books. Mary Alice writes richly textured stories that delve into the complexities of interpersonal relationships and the parallels between the land and life. Monroe’s novels are published worldwide. Monroe has achieved many lists, including the New York Times, USA Today and SIBA and starred reviews. 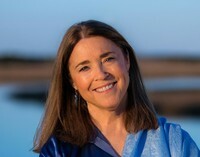 She has received numerous awards, including several Readers’ Choice Awards, RT Lifetime Achievement Award, the Girls Scouts of America Woman of Distinction Award, the 2008 South Carolina Center for the Book Award for Writing and was featured at the National Festival of the Book, the 2008 International Book Award for Green Fiction for The Butterfly’s Daughter, the 2015 Florida Book Festival Distinguished Author Award, and the ASPCA Henry Bergh award for Children’s Fiction. Monroe’s A Lowcountry Christmas won the 2017 Southern Prize for Fiction. Her novel, The Beach House, was adapted into a Hallmark Hall of Fame movie starring Andie MacDowell, Minka Kelly, and Chad Michael Murray. In 2018 Mary Alice Monroe was inducted into the South Carolina Literary Hall of Fame. 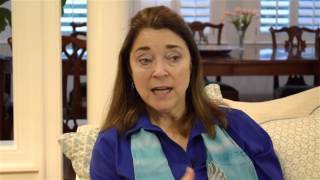 Mary Alice is an active conservationist and serves on the Board of the South Carolina Aquarium and The Leatherback Trust. She is a frequent speaker at book festivals, conferences, and private events. To ask Mary Alice Monroe questions, please sign up. Will there be more books in ' The Lowcountry ' series after ' Lowcountry Wedding ? I have loved them all. Spring is officially here, and my office is buzzing with book news! I’ve finished writing “The Summer Guests” and book tour plans are coming together quickly! I love this way this novel turned out and I’m so excited to share it with you. It will be officially available June 11th. If you want to see if I’m coming to a place near you, check out my events list.
" Tracy wrote: "I just re-read The Beach House and was thinking of how much I love the women in this series, especially Cara, so I am looking forward to Tracy wrote: "I just re-read The Beach House and was thinking of how much I love the women in this series, especially Cara, so I am looking forward to checking in on her in a new story." Tracy, I'm so glad to hear that you enjoy the character Cara in the series. It was fun weaving her into this entirely new storyline. I"m excited for you to read it this summer. ...more "
We’d love your help. Let us know what’s wrong with this preview of Moonrise by Cassandra King. We’d love your help. Let us know what’s wrong with this preview of The Lost Queen by Signe Pike. We’d love your help. Let us know what’s wrong with this preview of Before We Were Yours by Lisa Wingate. We’d love your help. Let us know what’s wrong with this preview of A Lowcountry Christmas by Mary Alice Monroe. This was the book Patti was born to write! We’d love your help. Let us know what’s wrong with this preview of Becoming Mrs. Lewis by Patti Callahan. “Age is real life is short. It's foolhardy to deny it. We grow up, our bodies grow frail, death is coming. There's so much I want to do! There's a whole world out there I havent seen, ppl I havent met and who havent know me. God, there 're a million books I want to read. I dont want to sleep... I want to be awake. June BOTM Nominations- "Beach/Water on the Cover"- 1st Round!! Top Five Books move onto the second round! Thank you for accepting my friendship on Goodreads. I am ordering your book LOW COUNTRY CHRISTMAS, as this is the time of year I love to read Christmassy stories.